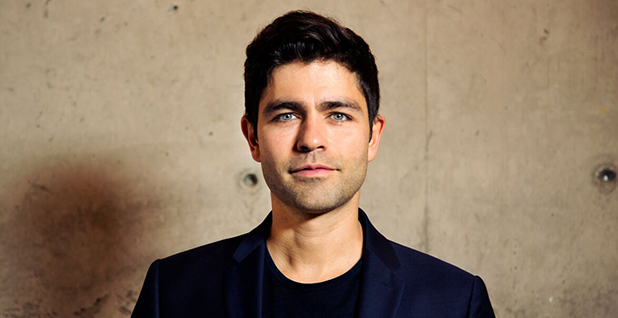 Adrian Grenier has gained an outsized reputation for his role on "Entourage," but his environmental activism has flown under the radar. That's the way he prefers it. The 41-year-old, who played Vincent Chase for eight seasons on the Emmy Award-winning comedy-drama and starred alongside Anne Hathaway in "The Devil Wears Prada," doesn't like to boast about his conservation efforts. He's developed an eco-themed app, been appointed a U.N. environment goodwill ambassador and launched a nonprofit devoted to marine conservation called the Lonely Whale Foundation. Last month, he helped spearhead the "Strawless in Seattle" campaign, which helped eliminate 2 million plastic straws from the city. The actor recently took time away from running his nonprofit and attending casting calls to chat with E&E News about plastic waste, his role as a citizen and his view of President Trump as a "really short-sighted human being." Why did you decide to launch the "Strawless in Seattle" campaign? The campaign was really born from the Lonely Whale Foundation team. We were trying to figure out an accessible entry point to the problem of ocean plastics. It's a major problem, with 10 million tons being dumped into the oceans every year. And a lot of times, it can feel overwhelming and daunting to the average person. We also wanted something that people felt they had agency over. So we came up with the plastic straw as that sort of low-hanging fruit. What originally drew you to oceans and marine conservation? I thought that the oceans provided a unique challenge because they're this abstract, out-of-sight thing that most people don't relate to or have access to, at least physically. Psychologically, it's this thing that is other. I think humans have a hard time building empathy for the ocean because they don't have direct engagement with it on a daily basis. It's not like national parks or trees or even air, which feel a little more accessible. Why did you found the Lonely Whale Foundation? I was approached by a good friend of mine, Lucy Sumner, who asked if I would help her produce a documentary about the loneliest whale in the world. When I heard the story of this solitary creature migrating up and down the Pacific Coast, calling out at different frequencies at other whales and never receiving a response, I was moved and touched. I agreed to make the film, but I also wanted to make sure that we had a robust way of engaging people to make a change in the ocean. So I started to build that foundation. You tweeted in January that you disapproved of President Trump's decision to expedite the Dakota Access pipeline. What do you think of his other environmental decisions, such as withdrawing the U.S. from the Paris climate accord? I think Trump is an unfortunate president. And a really short-sighted human being. He touts his business savvy, but I think his business practices are all about exploitation. Unfortunately, he's living in the past in order to have a robust economy. But to have businesses of the future, we need to start thinking about our natural resources. We can't continue to exploit them for profit because we leave behind countless externalities and unintended environmental consequences for the profit of a very few. It's a nice slogan to say you're going to create a bunch of jobs. But if those jobs are in industries that end up hurting the very people who work in them, then I think it's in the detriment to society. So with regards to Trump, I can't wait till he's gone. You're one of a few celebrities who's been active in championing environmental causes. Do you think celebrities should use their status to do good in the world? You know, I play a lot of roles in acting, and I also have a lot of titles and positions: U.N. environment goodwill ambassador, founder of the Lonely Whale Foundation, etc. But the one role I think is the most important is my role as a citizen. This is a world that needs collective participation and collaboration of everybody on this planet. There's nothing any one person can do alone. No celebrity, no president, no CEO. It really requires 100 percent buy-in and participation from all human beings. This is a humanity issue. So do I think I need to participate? Yes, I do. And I think my celebrity is really irrelevant to that fact. I have to ask: What was your favorite part about playing Vincent Chase on "Entourage" from 2004 to 2011? I'd rather not discuss that and go backward. I want to go forward. What I will say is that I do have a couple of films that I'm circling, and I'm really just looking for the next role that is appropriate for where I am. Right now, I've just been focused on oceans, and I'm not rushing anything on the acting front. I can also say that on "Entourage," many of the films that we portrayed Vince as doing have actually come to fruition in real life, namely the Aquaman movie. I was proud to have been the original Aquaman in the zeitgeist of people's minds. And while I didn't get the actual role in the real movie that's happening — that was given to Jason Momoa — I'm happy to play Aquaman in the real world out there, fighting for our precious oceans and all of marine wildlife.